The city of Rongcheng is one of the areas in China that has established a social credit ‘score’ system, actually giving out points on the basis of ‘trustworthy’, and ‘untrustworthy’, conduct. In fact, Rongcheng is so regularly held up as an example of point-based score systems, that more likely than not, if you’ve read something about social credit ‘scores’, it was based on Rongcheng. In past writing on social credit, I’ve avoided in-depth discussion of point systems because I don’t believe they are central to social credit, despite the media’s fascination with them. Instead, they are more of an eye-catching publicity device meant to raise awareness about issues of trustworthiness. While sometimes problematic, they don’t really add much in terms of meaningful rewards or punishments, and most people in places that do have point systems seem able to ignore them entirely without consequence. By contrast, a nationwide system of blacklists for administrative law enforcement has emerged as the primary mechanism of Social Credit. In that system, aimed mainly at companies and organizations in regulated industries, violations of law and failures to meet legal obligations can result in placement on industry blacklists. Through a series of M.O.U.’s, these blacklists are exchanged between regulatory bodies, which may then take additional action against the violators. Individuals are brought into the system and scope of punishment primarily as the representatives of blacklisted companies, or for failure to perform on court judgments. Still, because so much attention has been given to point systems, and because Beijing has hinted it might roll one out in the near future, I wanted to take a look at how Rongcheng’s score system actually works. In doing so, I have found that while there is no ‘panopticon’ or even significant new data collection involved, the scoring seems unnecessarily complicated and may invite additional government intrusion into people’s lives. Before considering what information is considered and used to calculate Rongcheng’s scores, it’s worth looking at the consequences of the system. After all, the extent of rewards and punishments available through the system is what will ultimately determine its relevance, and understanding the consequences from the start will help keep everything in perspective. Rewards and punishments in the Rongcheng score system are linked to different credit grades, or levels, which correspond to point ranges. The table below contains the point range, title, and full range of rewards or punishment corresponding to each level. 100 RMB ($15) towards medical insurance. 5% subsidy towards residential hospital care for those on medical insurance. Under 64 years, 100 public transportation subsidy, 65 yrs or older waive accident insurance fees. May enjoy 3% point benefit on current loan rates on eligible loans. Recommendations in selection of party members, awards, qualification assessments, hiring, titling, etc. Recommendations when seeking grant, gov. loans, etc. Recommendation when applying for scientific projects. B - Relatively Creditworthy 850-959 May be lectured or given materials about improving credit, but can enjoy A-level benefits above as situation improves. While the punishments vary in their severity, they rarely seem aimed at the general public. Most people do not bid on government contracts, seek civil service positions, or expect to receive government awards, for example. I point this out not to belittle the consequences, so much as to give an indication of who their true focus is. Most of the more serious penalties here seem aimed at business operators and companies, cutting them off from commercial opportunities and financial supports. At the same time, in addition to being purely punitive, like fines, the restrictions also have an at least colorable preventative character. True to the idea that people with lower scores are somehow less trustworthy, the penalties can be framed as ‘risk management’ measures, aimed at limiting the ability of offenders to commit further ‘untrustworthy’ conduct. Tighter regulatory scrutiny works directly to detect and prevent further incidents, public identification and listing can alert others to the risk, and so forth. Whether treatment of low scorers as ‘risks’ makes any sense requires a consideration of the information that can get one identified as ‘untrustworthy’. Turning to the rewards provided at higher levels, there are a few interesting things to note. First, is that there is no difference in rewards for the two highest levels: ‘AAA’ and ‘AA’; so, other than bragging rights, they are functionally a single level. As to whether the specific benefits provided at this level are strong enough incentives to change anyone’s behavior, I won’t speculate, but for frame of reference in understanding the value of one and two hundred RMB subsidies, I can share that the most popular restaurant in Rongcheng currently costs an averages eighty-seven RMB per person (Via Dianping,). Second, notice that while A-level benefits include several types of vaguely phrased promises of ‘recommendations’ or ‘preferential treatment’, A-level is actually the baseline score. Rongcheng’s system starts everyone at 1000 points, so these benefits are literally yours to lose. In fact, even B-level scores can sometimes enjoy A-level benefits when they are seen to be correcting their negative information. The B-level, identified as ‘relatively creditworthy’, also allows for some level of government intervention. Meant to be a soft instruction for educational purposes rather than punishment, this can include being given a lecture, which when conducted by government authorities can be intimidating. Again, when looking at the factors that raise or lower scores, consider whether the conduct that can put one at a B-level justifies such treatment at all. At the same time, however, remember that the conduct resulting in placement at ‘B-level’ was a legal violation that most likely already involved intervention by the authorities, and it may be those authorities that give the ‘credit’ warnings. As mentioned above, Rongcheng’s scores operate on a point system, broken into corresponding grade levels. One thing to notice is that the breakdown of levels is a little unusual in that unlike a traditional letter-grade scoring system, the size of each level’s point range is uneven. C-Level covers a 250 point range from 600-849, while B-Level spans only 110 points and the A -level spans a mere 50 points. The table to the right, is ‘to scale’. This matters, because it means that while it is easy to move between levels A and B, it takes a fair amount to get you all the way to down to D.
One way to have your level reduced more quickly is through ‘directed judgment’ factors that automatically reduce your score to the lowest value of a certain level. Committing an intentional crime for example, brings you right down to the bottom of the D’s, no matter where you started. Some of these ‘directed judgment factors’ can be ‘restored’ to a mere point reduction by correcting the problem, such as having oneself removed from a court judgment defaulter list, pledging not to illegally petition again, or removing illegal structures you’ve erected. As you look through the grounds for subtractions, notice that they are all violations of existing laws, regulations, or contractual legal obligations. Rather than viewing the score system as an expansion of traditional credit scores to include social as well as financial data (as it is often portrayed in the media) this score system is better understood as an expansion of a typical drivers license point system to include other violations as well as traffic offenses. The system doesn’t evaluate a mass of data to give out punishments, so much as create a record of what punishments a person has received. 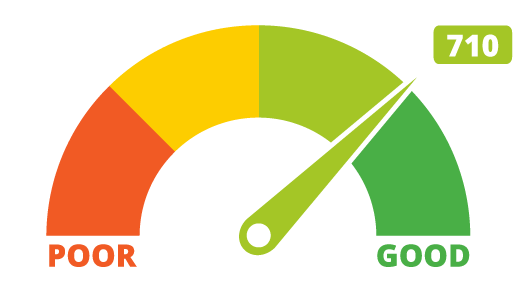 The consequences of a low credit score discussed above, are likely to be much less important than the primary penalties that resulted in that score. As mentioned above, an intentional crime can directly reduce one’s score to D-level , but when the police catch a burglar with a TV set in hand, they are unlikely to be thinking about credit scores. Still, the secondary consequences of criminal records, or even records of lighter violations, anywhere can have lasting and sometimes devastating impacts on employment, education, housing, and other opportunities. The decision to keep and publish such records should be carefully reviewed to ensure that offenders do not continue to pay for the same mistake their entire lives. Institutionalizing and expanding such lasting consequences seems like a bad idea, although more carefully tailored professional restrictions (such as higher scrutiny for felons seeking credentials as a lawyer, accountant, or teacher) are not uncommon. Concern about China’s social credit system, however, has not focused on the harm of lasting records, but on fears of invasion of privacy use of advanced technologies to profile and control citizens. To this end, it’s worth noting that the list of actions that reduce or lower points in Rongcheng is comprehensive and lengthy, but always involves straight addition and subtraction. There is no meta analysis algorithm or complicated formula, just straight addition and subtraction linked to specific conduct. While I made a survey to simulate scores, the real system relies primarily on data produced by the government in giving out administrative punishments and commendations, with additional reporting from social organizations and volunteers. The estimated value for a full translation of this post is $560.46 USD at the below-market rate of $.06 per character, with 8,691 characters.